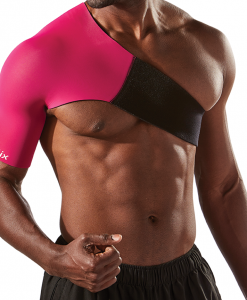 How do arm compression sleeves aid in the prevention of wrist, elbow, bicep, and shoulder injuries? Unlike a traditional sports bandage, Body Helix arm compression wraps offer the most comfortable, functional, and hygienic medical compression to provide injury prevention and pain management for a range of arm injuries. 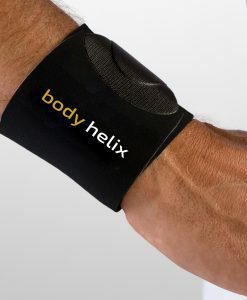 Our Wrist Helix is a wrist strap and wrist brace used for the management of wrist sprains, strains and tendonitis. 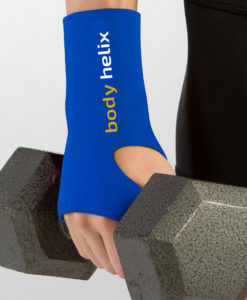 Wrist support and warmth has also been shown to provide comfort to arthritis suffers. 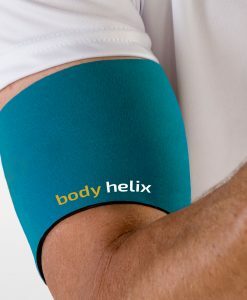 Those seeking Tennis Elbow treatment or a Golfer’s Elbow brace will find firm elbow support with an Elbow Helix, while the Biceps-Triceps Helix assists as a compression brace worn on the bicep for arm muscle and tendon injuries commonly associated with biceps, triceps, and arm strains. Our Shoulder Helix is ideal for injuries or pain involving the shoulder joint, muscles, tendons and ligaments. 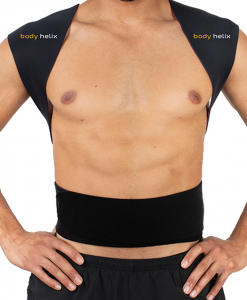 It supports the tissues without restricting movement and is excellent for use with rotator cuff injuries as well as before or after shoulder surgery. 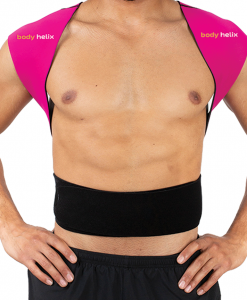 The Adjustable Posture Helix helps improve posture by providing support to the muscles, tendons, ligaments, and joints of the shoulders. 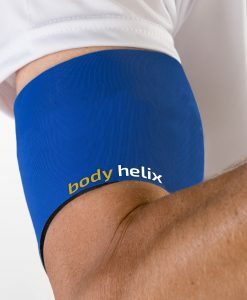 This Helix is ideal for those with upper back, shoulder and anterior musculoskeletal chest pain that may originate from specific athletic injuries or from spending long hours sitting at a desk or computer. Why should I wear an Arm Helix while I play my favorite sports or activities? Compression treatment is essential in injury prevention in sports associated with repetitive activities. 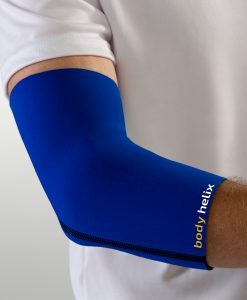 Unlike outdated wrist wraps, our material has incredible stretch and elasticity making our Wrist Helix the best wrist sleeve for those seeking Tennis Elbow support by splinting the wrist. Athletes who participate in contact sports such as football or basketball can choose Body Helix compression wraps for protection of the elbow, whereas tennis, golf, and baseball players should consider a shoulder, elbow or wrist compression sleeve for injury prevention.